C&E Y-Cable Gold Plated Connector has 3 cables of 2 male and 3.5mm stereo female cable. It is 6 inches in length which can get connected to any stereo audio or visual product. 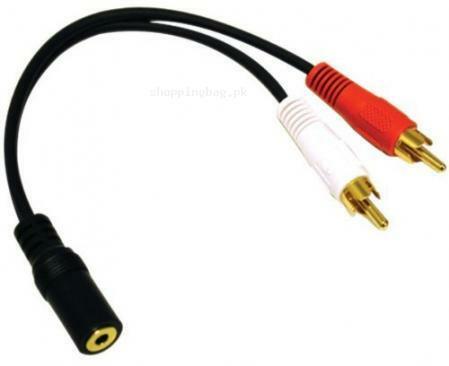 C&E Y-Cable Gold Plated Connector is found in Black color in Online Shopping in Pakistan. You can find it in an assemblage of Amazon imported products in Pakistan from online shopping in Pakistan. Place your order online and enjoy distortion free connectivity through Online Shopping in Pakistan. Ordered High quality Amazon Product C&E Y-Cable Gold Plated Connector will reach at your door anywhere in Pakistan in reasonable price.